Florida is beautiful, surrounded by unique beaches from coast to coast. On the East coast you have the sand and the surf and on the West you have the calm waves of the Gulf lapping against its sugary white seashores. Both are fantastic and should be explored and experienced to the fullest. With so many options for families to call home during their visit it can get a bit overwhelming. So, I’m going to help you find your home away from home right here in the Sunshine State. When traveling as a family, we enjoy the comforts that staying in an independently owned vacation property can offer. The spaciousness of the units and uniqueness of each property generally won’t be found in a chain hotel. I love the personal touches that staying in a small vacation community can bring such as a fully stocked kitchen, recommendations of where to visit (or stay away from), and personal phone calls ensuring all of my family’s needs are being met. 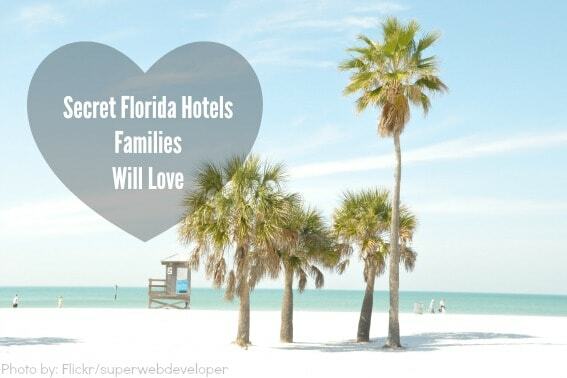 Here are just a few of Florida’s small, independently owned properties that we love! We enjoyed our time in the extremely spacious Villa #6, a two-bedroom villa with a full-sized, fully-stocked kitchen, a dining room, living room, and gorgeous views of the beach. The amenities were all-inclusive which was nice for our budget-conscious family; we were able to use the kayak, umbrellas, beach chairs, beach toys, and grills at our leisure. Our neighbors were amazing. 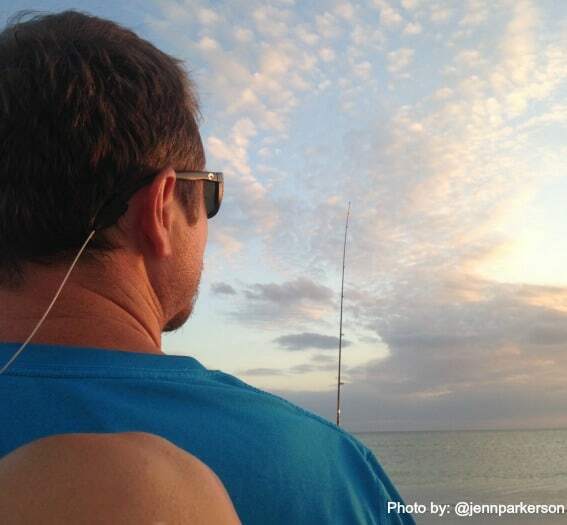 We would swap fishing stories or talk about the latest news into the evening hours all while enjoying beautiful sunsets. The location and size of this property set it apart from others. There aren’t many places where kids can play on the beach while parents relax in the air conditioned comfort of an apartment, but Sand Glo Villas is one of them. Indian Shores Coffee is within walking distance of the hotel. We enjoyed coffee, muffins, and a jam session during our stay. My boys had a blast jamming out to Twinkle, Twinkle Little Star while I savored a warm and delicious cup of coffee. Smugglers Cove Adventure Golf was one of the highlights of our visit. Families can golf and feed alligators from what look like fishing poles. It was a fun and very unique experience. During your stay you may also want to visit the Suncoast Seabird Sanctuary, Busch Gardens, or the Lowry Park Zoo! The Ebb Tide is perfectly located in Clearwater, Florida allowing you to enjoy the hustle and bustle of downtown Clearwater Beach and Pier 60, or the quiet, uniqueness of the nearby state park beaches. Stepping into this boutique hotel was like stepping back in time. The design of Ebb Tide is unique; when you enter their open air lobby you are immediately greeted by the pool and the bay behind it. It’s beautiful. Each of the units surround the pool and have their own view of the bay. Our apartment, Manatee 20, was huge! My family of four could have comfortably lived in the unit. There were two bedrooms, two baths, a large kitchen, eating area, and living area. The amenities included a fishing dock, which was a favorite for my family of fishermen. My boys, ages 9 and 7, loved the pool and the pool toys. We told Maria, one of our hosts, that we were planning on visiting the beach so she left beach toys down at the lobby for the boys to bring along on our adventure. Maria was very kind, reminding us to enjoy and take things slow. All the guest seemed to take her advice as they generally lounged by the pool or the fishing dock while chatting with each other until dark. The Clearwater Marine Aquarium was one of our favorite places to visit. We are big fans of the Dolphin Tale movies so seeing Winter and Hope at the Aquarium and then walking “inside the movie” at Winter’s Dolphin Tale Adventure was an amazing experience for us. Honeymoon Island State Park is a great place for families to spend the day. Here you can fish, kayak, collect shells, or lay out on the beautiful beach. The nature center is a great place for kids and adults to learn about the beaches and take in a gorgeous views of the wildlife surrounding the area and neighboring Caladesi Island State Park. You can enjoy lunch at one of the restaurants in the park or take a quick trip up the road to Frenchy’s for a bite to eat. 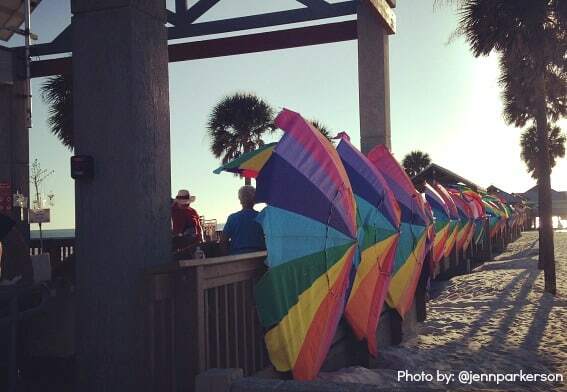 There is plenty to do in the downtown area of Clearwater Beach, but you must enjoy the sights, sounds, and vendors that take over Pier 60 at dusk. Check more of what incredible Clearwater has to offer families. Tuckaway Shores is located on the East Coast of Florida, Florida’s Space Coast, giving guests the opportunity to enjoy the ocean’s breezes and breathtaking rocket launches all from the comfort of their own room. Tuckaway is like a breath of fresh air. Our room was fully equipped with a kitchenette, dining area, and a large folding glass door that gave us an unobstructed view of the ocean. It made for the perfect sunrise viewing area. The amenities were all-inclusive and included beach chairs, towels, toys, and the big green egg grill. The resort staff prepared the egg, all we had to do was lay our fish on the grill and then enjoy a delicious meal! 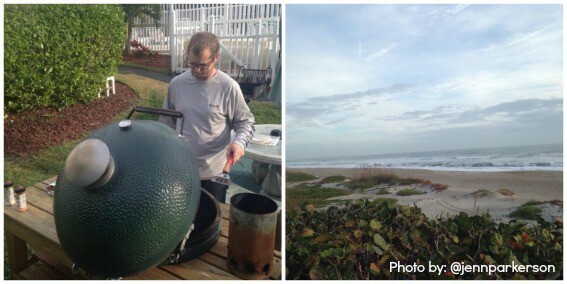 The big green egg made visiting this property a novelty but the unobstructed views of the rocket launches, particularly the early morning launch that we experienced, are what set this property apart from the rest. During your stay in Indialantic you must take a little road trip to Kennedy Space Center. Here you and your kids will learn a lot about the space program and have fun while doing it. The Barrier Island Sanctuary is located just south of Tuckaway. It is a free interactive experience that will allow you to meet the animals that call the Space Coast home. Also, there is a fun geocache to be found at the Sanctuary. The Melbourne Beach Market is a great place to grab a bite to eat. While you are shopping you can pick up some root beer for the kids and a nice bottle of wine for you! Here are some more recommendations for your trip to Indialantic. If your family wants to stay in a quality, small property in Florida, Trekaroo recommends checking out the Superior Small Lodging Association. The association, which only includes individually-owned properties with 50 or fewer rooms, prides itself in providing spotless rooms and a high level of service. Each of the three unique properties I visited are members of this organization and well worth a visit. Disclosure: We were guests of Sand Glo Villas, Ebb Tide Waterfront Resort and Tuckaway Shores Resort. All opinions are my own.